Your kitty already thinks that everything in your house belongs to them, and for once they'll be right when you bring home the Sofa Scratch n Shapes - Love Seat. Your kitty already thinks that everything in your house belongs to them, and for once they'll be right when you bring home the Sofa Scratch n Shapes - Love Seat. 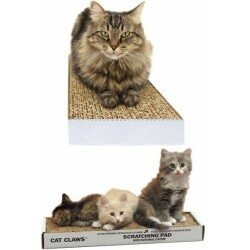 Crafted with a wide, rugged body of corrugated cardboard, this couch-shaped scratcher conceals nine ounces of organic catnip that will keep them interested while it helps keep their claws off your furniture. 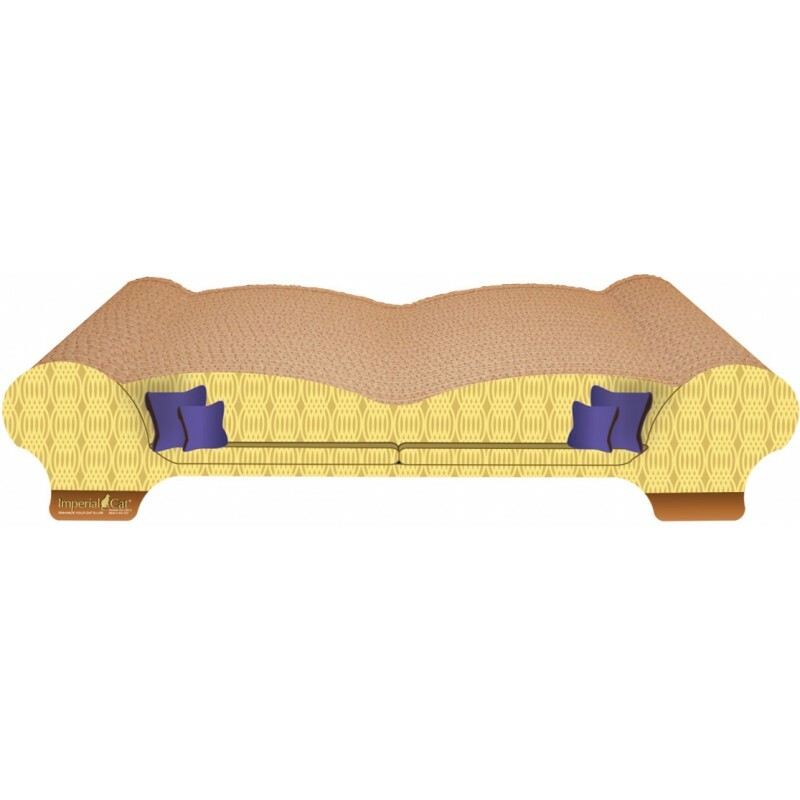 The cardboard body is composed of recycled materials and made in the USA. Made of 100% recycled paper. Perfect place for little kitties to scratch and relax. 9-gram of certified organic catnip included. Made in the USA. 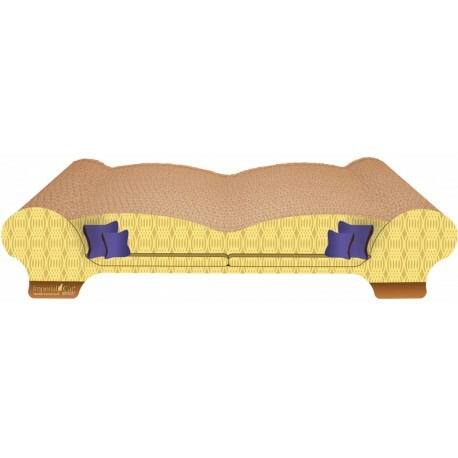 Dimensions: 21.25W x 9D x 4H inches.